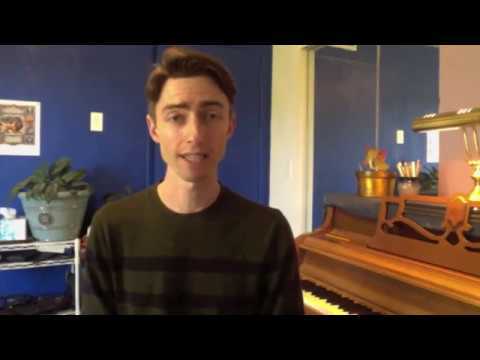 I've been teaching voice, piano and guitar lessons for over ten years, and I love it! It's an enormous joy and privilege to be asked to help others in their musical journeys. I take my work seriously, but it's a pretty great job. I am easy going and friendly, and when people come to me I try to understand exactly what their goals are. Some students thrive with a highly technical approach; some thrive in a less formal, more supportive environment; most do best with a mix of the two. I welcome students of all ages and levels. I have a bachelor's degree in music from UC Santa Cruz, I've released two full albums of original music, and am currently working on my third. I've performed professionally in NY, LA, and all over the Bay Area. My students have performed at clubs and concert venues, studied at schools such as the Conservatory of Vocal and Instrumental Arts, Oakland School of the Arts, and UC Santa Cruz. And some have made beautiful, original recordings of their own. I enjoy working with children and adults alike. To facilitate an experience of music that is gratifying, challenging, or some combination of the two (depending on the student). To discover what styles of music most interest a student, and to help them to cultivate the tools necessary to sing/play in that style. To work with the student to figure out a practice routine that makes the most sense for their lifestyle and their musical development. To continue to learn about the student every lesson, in order that my instruction may be most effective to his/her progress! Nick is awesome! He has been working with our two young sons, ages 9 & 7, for close to a year now and they have made tremendous progress. He is especially skilled in meeting them where they are at, whether they are tired or unfocused, or have too much energy, he is always willing to listen to them and find an access point into their world of child-like creativity. He also asks them what songs they are into and even has transcribed the songs for them so they can learn their favorites. A real good mix of formal training and teaching to the individual child. Nick is, above all, patient and kind. The two best qualities any teacher can possess. I can not recommend him enough to parents of children, or anyone for that matter. I might even sign myself up in the near future! Very comfortable and nice. Will update after a few more classes! My kids really look forward forward to Nick's class. Nick seems to be so at ease and natural at helping kids with music. Very nice start for a "get to know each other lesson. Nick was very positive and encouraging with my daughter, 14 years old. 30 minutes was short, so we may increase to 45 down the road. have made wonderful progress & look forward to their lessons each week. Thank you Nick for your continued instruction! I highly recommend him. Nick has been teaching my daughter (age 10) piano for the past 7 months and I could not be more pleased! I'll start by saying that my daughter had never before taken lessons and, to be certain, was a reluctant student at the onset. That said, she is progressing at an incredible pace under Nick's weekly instruction, and is genuinely loving the experience. In fact, I no longer have to remind her to practice each day, as she sits to play piano whenever she has free time! Nick comes to our home every week, is punctual, flexible in scheduling, and always brings a warm smile, lots of encouragement, and a captivating variety of songs for my daughter to learn. He is truly wonderful with children (that magical balance of supportive and challenging), and is able to adeptly incorporate my daughter's individual learning style into his lessons. I highly recommend Nick as an instructor and feel so grateful to have him supporting my daughter's musical education. Nick is amazing with my 9 year old daughter. He is the perfect mix of directive, playful, and motivating. My daughter is a beginning student and looks forward to his visits each week. I highly recommend Nick for kids! Again I must say that Nick R. is the best teacher I have had in the past thirty years of taking lessons from different teacher.He is the best!!! Greetings,Our experince with Mr. Nick was awesome. We had been trying to get our Student to sing for a few years, has he had done in his younger years. After just two lessons he stood in front of us did the breathing techinque he learned and began to belt out some notes. We were so amazed that it brought tears to my eyes. Great Job! Mr. Nick.